Mindy, After watching your video, and seeing the sample pages in your book, I bought! 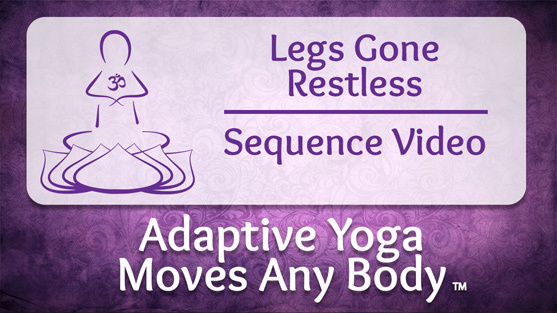 It seems to be a perfect affirmation that yoga asanas can be accessible to any-body. I wanted to share your site with friends and colleagues; your site is so easy and bright -Blessings, and Namaste. I see many of my patients within the pages of this book. Many are young women whose lives were forever changed when they were diagnosed with M.S. Many of them have shared stories of loss and uncertainty for the future yet they found the courage to pursue something new. 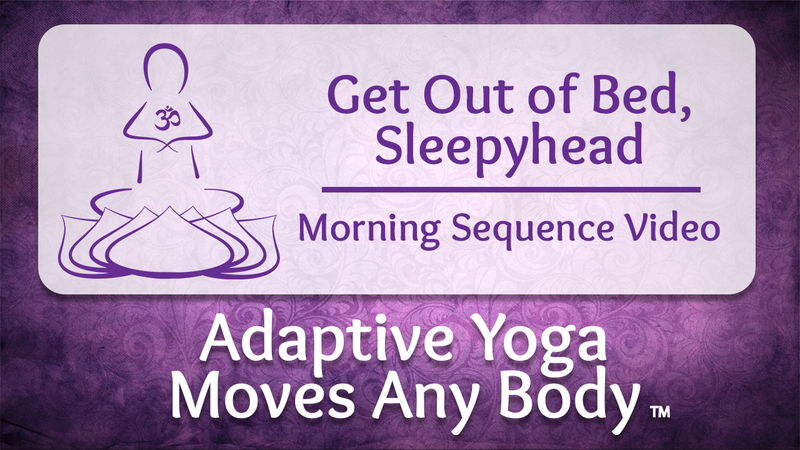 Adaptive Yoga under the gentle guidance of Mindy Eisenberg has given them a NEW sense of SELF. I applaud her tireless commitment to this invaluable program and congratulate her on the publication of this much appreciated book. She has given her students something that they feared might be forever lost. 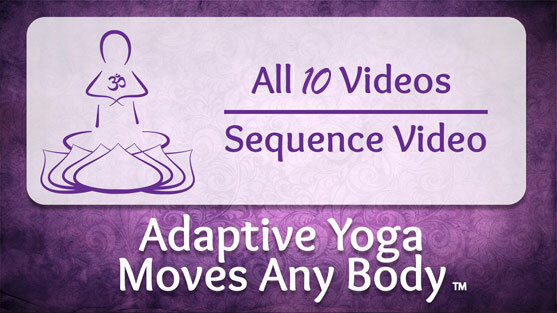 Purchase videos online and you’ll receive an email with a link to download your video. 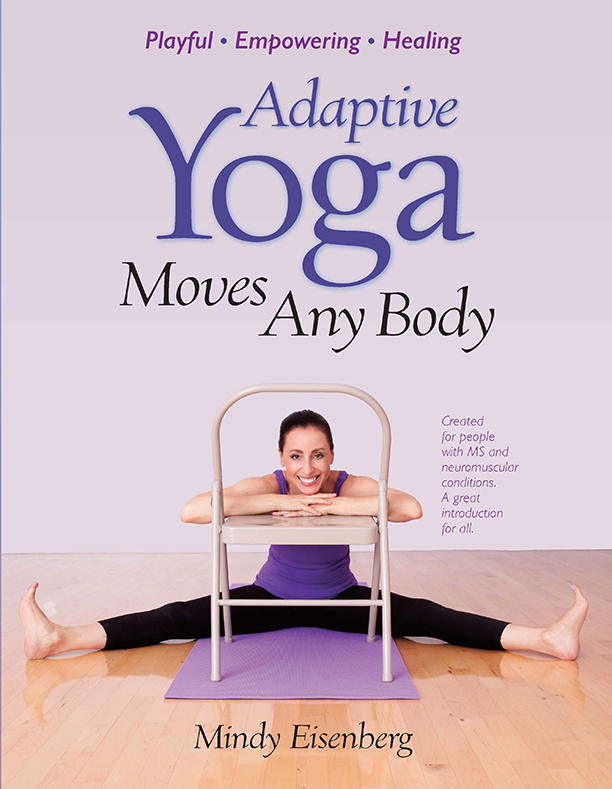 Dear Mindy, My name is Sharon Fasnacht and I wanted to thank you very much for the beautiful book, Adaptive Yoga Moves Any Body, that you gave me through Kathy Noll. I have recently started working my way through the book, and haven’t gotten real far, but speed is not the goal! 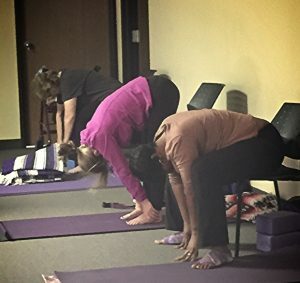 🙂 I practice several poses at a time, and find them both relaxing and energizing! I especially like the breathing techniques. What a wonderful way to set aside daily stresses for a period of time. Hopefully as I become more familiar with this method, that period of time will become longer 🙂 I know Kathy gave this book to me a while ago, but I was in therapy (had a broken shoulder), and needed to get through therapy first. I shared the book with my PT and she was very impressed. A nurse at Magee Rehabilitation Hospital (a rehab hospital in Philadelphia, PA) recently asked me for the name of the book, as she is interested in it for a friend who has MS, and also for their MS and euromuscular injured patients at the hospital. Thank you again for such an incredible gift. I’m sure you have brought much happiness and relief to many, many with your adaptive techniques. 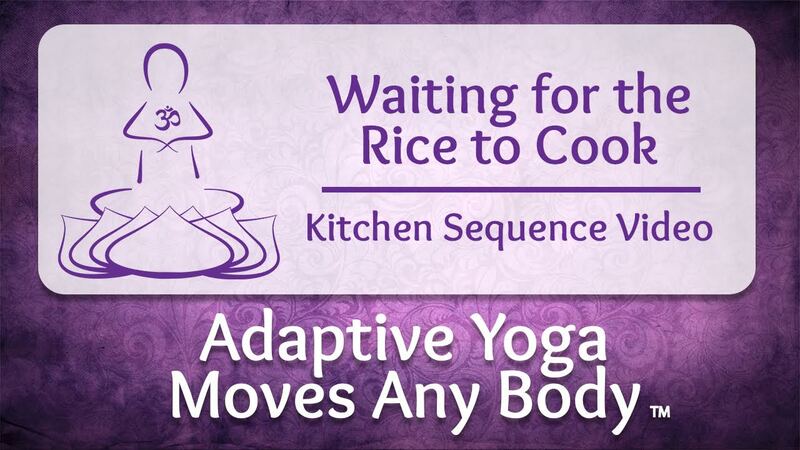 “I wish I could take an adaptive yoga class from Mindy Eisenberg, but since she lives in southeastern Michigan and I live in north Texas, I can’t make it to her classes. 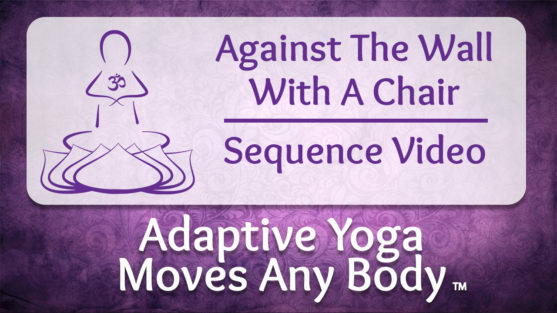 However, I have the next best thing, a copy of her new book: Adaptive Yoga Moves Any Body, which was created for people with multiple sclerosis (MS) and neuromuscular conditions. I purchased this amazing book last week and I didn’t put it down for two days! This book could not have arrived at a more perfect time. 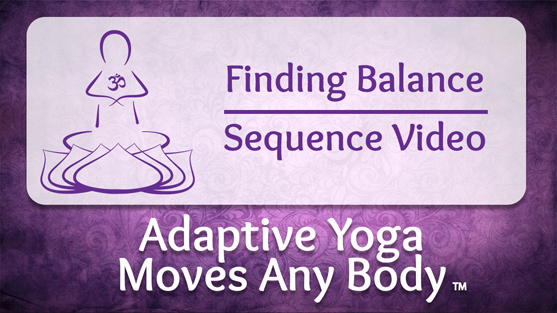 As I prepare to teach some of my first yoga classes, I am grateful for Mindy Eisenberg’s attention to alignment details and the more subtler aspects of each pose, in addition to precautions given for various conditions and injuries. They are like a road map, guiding me on this amazing path called yoga. The ‘jewel in the lotus’ of the book is the many creative pose adaptations, illuminating a path to empowerment for every student, every body. 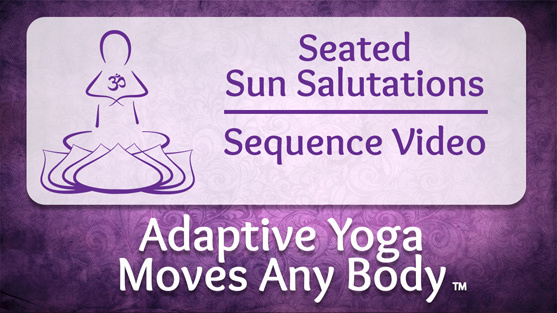 Let us celebrate the many beautiful expressions of each pose! This book is a rich resource for both new and more experienced teachers alike, and would be a valuable reference book for YTT programs everywhere. 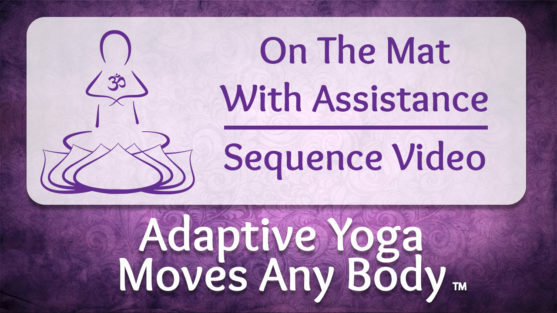 Adaptive Yoga Moves Any Body is a well written book that will be easy to use from the beginning yoga student to the more advanced devote. Mindy Eisenberg has taken Yoga and made it easy and fun with demonstrative photos and descriptions that make each yoga position easy to understand and duplicate. This book is very well suited for patients with Multiple Sclerosis as well as for many other neurological conditions. I would recommend this book to my patients and also to anyone else interested in beginning yoga or continuing their yoga journey. — Bhupendra O. Khatri, MD., Medical Director, The Regional Multiple Sclerosis Center, Milwaukee, WI. Author of the award winning book, Healing the Soul. Adaptive Yoga Moves Any Body includes photos of Yoga Moves students with easy to follow instructions.